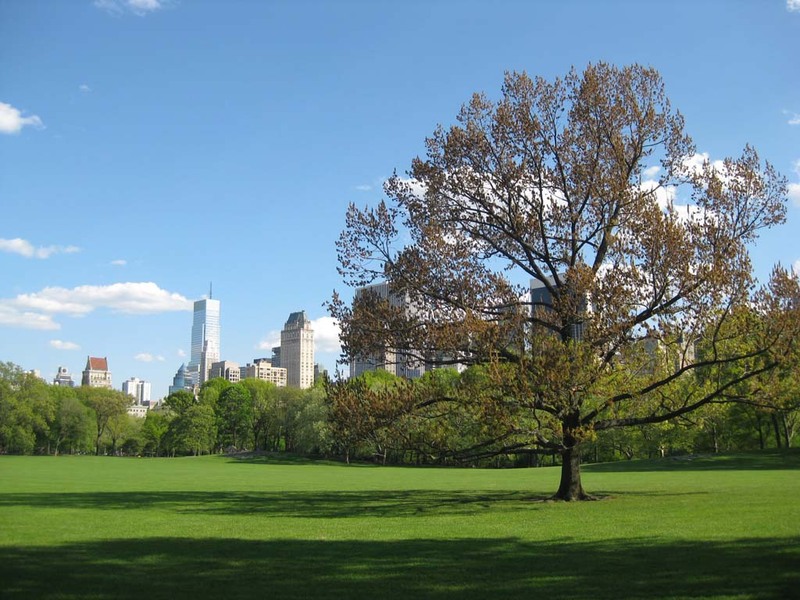 It was looking to be a great All Star Thursday as I made my way into Central Park, finally warming up here in NYC after an unseasonably cool spring to date. However I was aghast as I espied our meadow, it was closed up, empty with the red flags waving. Seems it was time to perform some maintenance, something to do with insecticide. However I always like a good bandshell jam, so just veered a bit east and kept going. Figured it was 5 o’clock so maybe not too many folks were out yet, however when I got into the bandshell area I saw most of the gang already getting into it. James, and Daniel were busy jamming away, these two do not stop, guess they need a break between studying for finals. Emma was out for her final Thursday before heading back to Seattle. Randy and Co. will be very happy to see how shredding their hometown jammer has become during her year in the Apple. Now during the winter the shell is really a great place to jam, we generally have the place to ourselves, with just the tourists wandering by to, hopefully, gander a bit at our antics. However as the weather gets nice seems all sorts of athletic peeps come out to do their thing at the shell. Today we had a group of jugglers manipulating various objects, along with a band of skateboarders treating us jammers like gates for a slalom skier. One particular dude was practicing his screaming stops in and around the entire gang, a bit disconcerting at times, but then we are in New Yawk City, so almost anything goes. As I am want to say, “as long as nobody gets hurt…”. A bit later Joey biked on in and proceeded to take out the Gamboa from his bag, now it was really on, to see who wanted this bad enough to get the nod from the board for the shreadingest jammer of the day. I had started out with team Columbia, but the conditions were very tough with wicked swirling winds making it hard to get into a good flow. I took a break at some point and noticed that Ted and Chrissie were not to be found, and this would be two weeks for them as they were scared off by near hurricane last week, even though it ended up very nice. However just as this thought crossed my mind, who wandered in but the happy couple themselves. They brought in a few goodies, Cinco De Mayo Margaritas, and Teddy was sporting and debuting the new Yella Jersey. This version is the third dreaded Yella jersey, the first jersey, now living in retirement framed at Teddy’s, the second jersey brought out by Robert last year. This shirt, designed by Chrissie, is for one year’s use, as it has a scoreboard to note each weeks lucky recipient, with Teddy’s name starting out the year. Emma was disappointed she was going to miss most of the year’s yellaness as she will be heading back to Seattle before another Thursday, not to return until school starts up again in the fall. 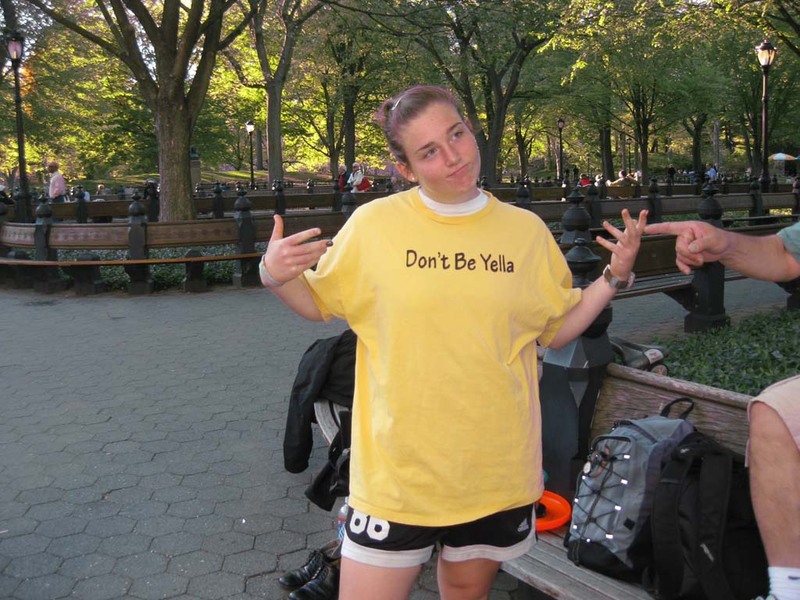 Just to be sure she was not to be forgotten, this first week had two Yella designees, and Emma happily donned the jersey as well, and added her name to the roll call of Yellaness for this year. As we were nearing halftime for the afternoon into evening’s fun and games, the wind started to Sid Down a bit and the jamming started to perk up. Teddy was at a bit of a disadvantage, as he came expecting to play in his bare feet in the meadow. He did his jamming in his sandals, but if any of you know Teddy, he could jam his a*& off wearing just about anything, and sure enough he was as hot as ever. I went over and joined Joey, Doug and Kevin while another foursome of Daniel, James, Teddy and Lou went at it while Brad was busy with Emma with Trevor, JB going at it as well. Rob and Chuck were taking it easy, each nursing minor injuries. Everyone kept mixing it up until we were down to just one jam, with Teddy, James and Daniel giving the peanut gallery a show as the sun was setting. After all the jamming was done, Joey made the call to bestow the Gamboa to Doug, who did have a great day. Doug chimed in the he was proud of his bid, hitting a big flying indigenous variation (his signature seal), along with steady triple fake brushes and a screaming bad attitude to finish off his day. Daniel was close behind for his consistent killer brushing runs, huge lacers and gitii, and sheer energy to never stop jamming until it was almost too dark to play. The gang hung around the shell basking in the end of one of our first real spring evenings, enjoying the camaraderie. Mojito J rolled in with his own elixir to warm up spirits and the party was on. Major decisions came out, with the firming up of some of the ASTGI jammers for this year. Anton Cappelman is headed this way to cap off the season for what is becoming a regular September event not to be missed. Start clearing your schedule for the September 15th A*T through that weekend. Looks like we may have some other Germans coming in and we are waiting to hear from the other regular guest jammers, as well as anyone else who wants some fun in the big apple. 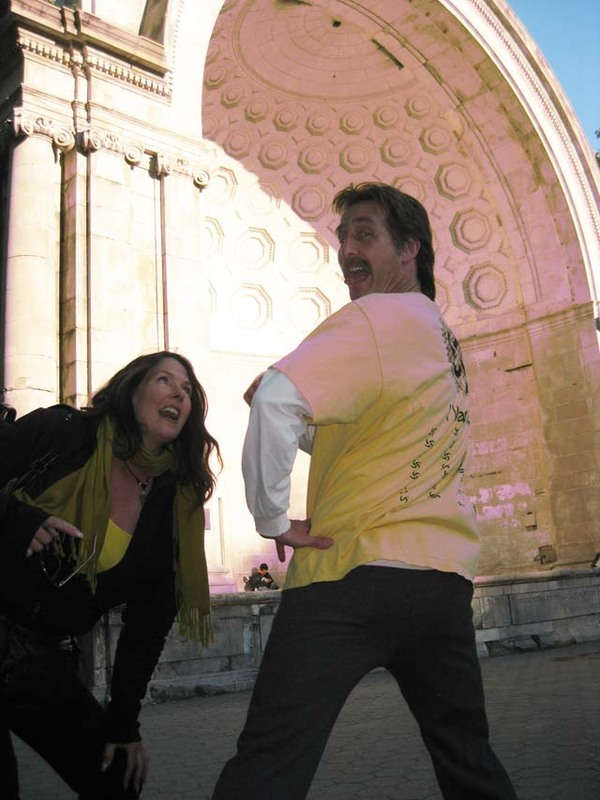 The early season Designee is the first NYC Ex-Pat we are flying back, as Chrissie just made the call to Richie Regansburg, our Florida exile to come back north on our dime, planned for the June 23rd Thursday, for a summer solstice event that should not be missed. Remember to check the A*T Roll Call to see if you are there, if not then you need to plan a trip down to experience some of the most fun you can have jamming, all without the agita of a tournament. On a closing note, I just can’t wait to see the new Yella Jersey on the Tall Man himself next week. I hope it shrinks a bit in the wash, as I feel it is best when it is snug! 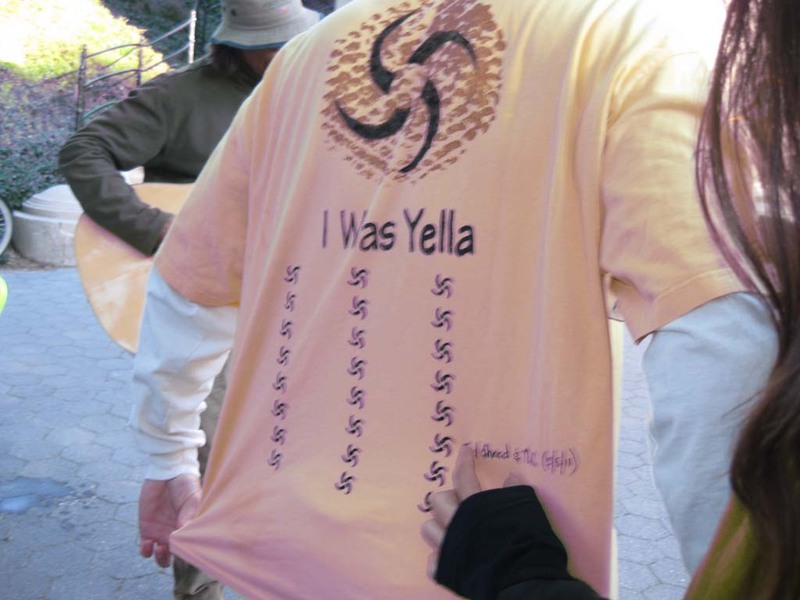 I love the fact that the new Yella jerseys will keep track of the names of all the yella people! Great job Chrissie! But what happened to the banana shirt? ;-D Love you all and miss you! Get your butts down to The Jammers…. Big event for work April 28th, and traveled to Chicago May 5th amking me DOUBLE Yella. I will wear the Jaundiced Joisey with the appropriate amount of shame. Big Ups to Roger for pinch hitting!!!!!!!!!!!!!!!!! !